Anarchists fight with police…and win!!! We’ve had a great day. It’s been fantastic! We said we’d storm the bank and we did. They couldn’t stop us. 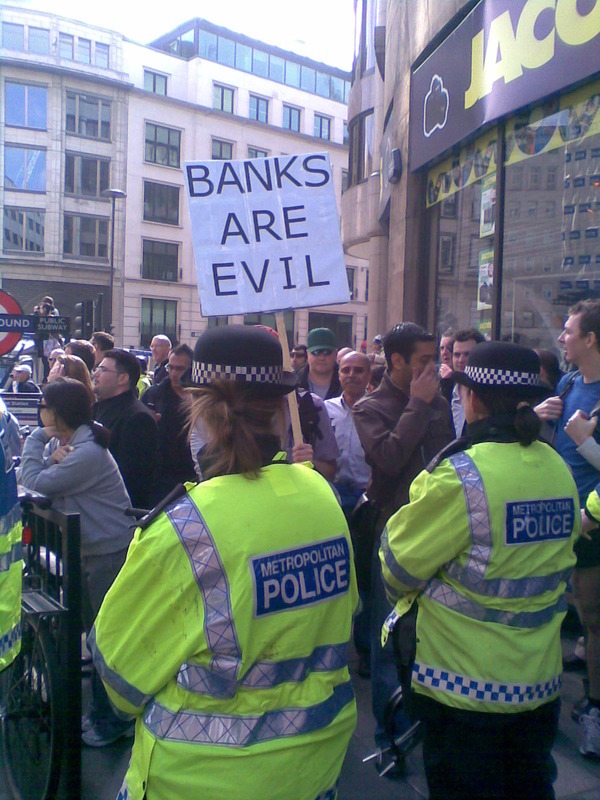 We broke through the police lines and the royal bank of Scotland was trashed. We’ve won! We’ve done what we said we would. It feels fantastic. We’ve had a brilliant day! For more news direct from the streets, check out Indymedia.